CONVERTED into an up-to-date radio station, an old stone observatory at Manchester, N. H., now serves a threefold purpose. As a public facility of the city, its short-wave outfit has been turned over to amateur radio enthusiasts, who have formed a club to share its use. If an emergency such as a flood or hurricane cripples other communications, the station will keep Manchester in touch with the rest of the country. In the course of adapting the venerable landmark for these practical purposes, it has been renovated and preserved as one of the city’s historical, points of interest. 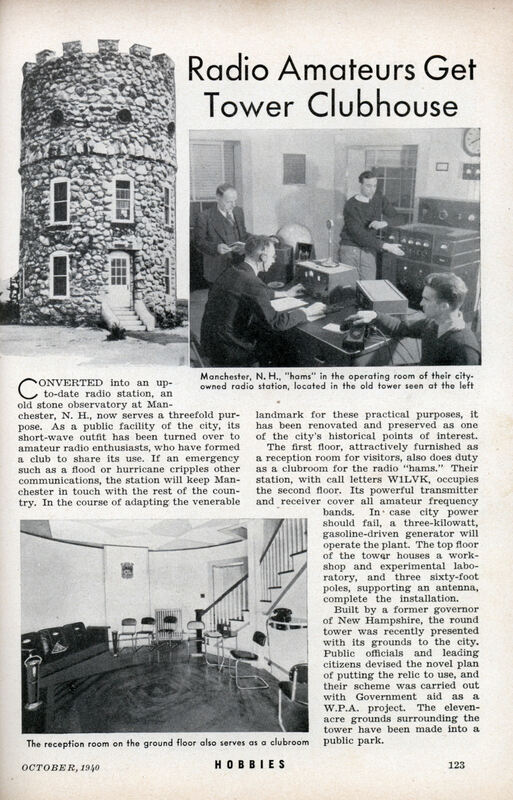 The first floor, attractively furnished as a reception room for visitors, also does duty as a clubroom for the radio “hams.” Their station, with call letters W1LVK, occupies the second floor. Its powerful transmitter and receiver cover all amateur frequency bands. In* case city power should fail, a three-kilowatt, gasoline-driven generator will operate the plant. The top floor of the tower houses a workshop and experimental laboratory, and three sixty-foot poles, supporting an antenna, complete the installation. Built by a former governor of New Hampshire, the round tower was recently presented with its grounds to the city. 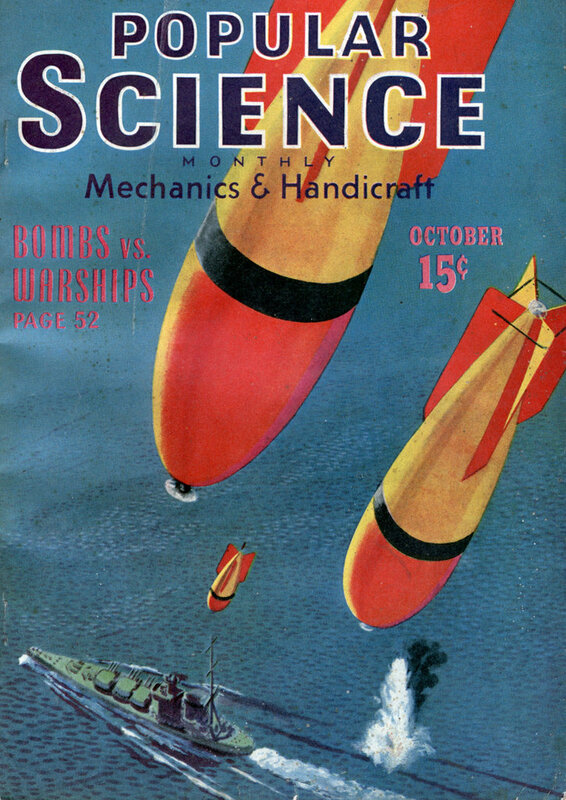 Public officials and leading citizens devised the novel plan of putting the relic to use, and their scheme was carried out with Government aid as a W.P.A. project. The eleven-acre grounds surrounding the tower have been made into a public park. I’ll give you that one, Hiru. Wow! That’s really cool to see the old place being used. The tower’s on the Register of Historic Places, but it’s kind of sad and closed up now and falling into dilapidation. The public park is now a VA Hospital. I’m pretty curious to see the cover article here as that can only be a British Nelson-class battleship.